We have been developing custom software solutions for many years and have experience from projects at home and abroad. Our development team is well versed in development using the newest Microsoft technologies, such as .NET, Windows Azure, SQL and others. The competence of our developers is also demonstrated by their numerous certificates and our company's Microsoft Gold Application Development and Microsoft Gold Datacenter competencies. A major part of development projects nowadays is being done with Windows Azure technology, which we used in 2010 to make Slovenia's first application hosted on Azure. To automate business processes, that are not covered with standard software solutions, a custom made solution is usually required. With a wholesome approach to software development, we take care of every step of the project, from careful planning, an attractive design, application development, testing, implementation and integration into your IT environment and user training. Using the most recent technologies we can create a professional website, completely tailored to your needs and wishes. After the website or application is developed, we can also take care of the domain registration for you and host your application. If requested, we can also provide preventive monthly maintenance, which assures the smooth operation of the application. Maintenance also includes necessary fixes, minor upgrades and user support. Drawing from our experience of working on many domestic and international projects, we can provide consultations and assist with development of all sorts of applications with the use of Microsoft technologies. Our team of highly qualified developers will help you in figuring out the appropriate solution for you. We also perform all the necessary upgrades and overhauls of existing software. We can make technical or visual improvements, according to your needs and wishes. We are grateful to Kompas Xnet that they are helping us spread our humanitarian mission by being visible on the internet (www.unicef.si), which is a very useful way of approaching our donors. Their good will, professionalism and willingness to help matches very well with our own philosophy. 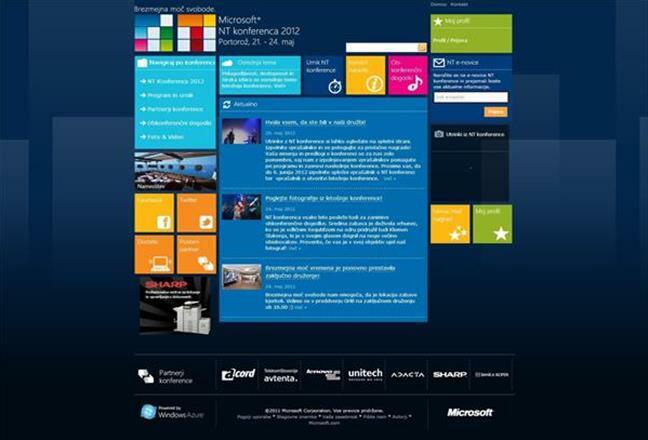 On the recommendation of Microsoft Slovenia, we chose Kompas Xnet for the redevelopment of our websites www.pocenielektrika.si and www.gen-i.si. We were very satisfied with the execution of the project and their professionalism. They have top experts for Microsoft Azure, which was then just an emerging technology, and HTML5 and CSS3. Their experts could match our high expectations, that is why we also chose them to develop additional websites www.poceniplin.si and www.jeftinastruja.hr, where the quick response time of the external contractor was of the utmost importance because of the very short timeframes when entering a new market. We would recommend Kompas Xnet to anyone who would like professionalism, quick responses and reliability. Blaž Krapež - Specialist of IT business solutions; GEN-I Ltd. Blaž Krapež - Specialist of IT business solutions; GEN-I Ltd.
We developed the www.jeftinastruja.hr website for our client. GEN-i uses it to market their services to businesses and household in Croatia. We developed the website for the NTK conference, that included options for registering to the conference, viewing the conference schedule and other conference information. The website also included options for editing content, the conference schedule, speaker pages and sending mass mailings. The website was developed based on the provided graphical design and a CMS for editing page content, news and the schedule. Different types of access was provided for different types of editors. Systems for sending mass mailings and for communicating with backend payment systems were also developed.